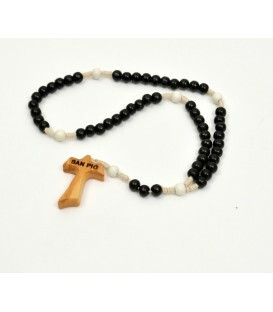 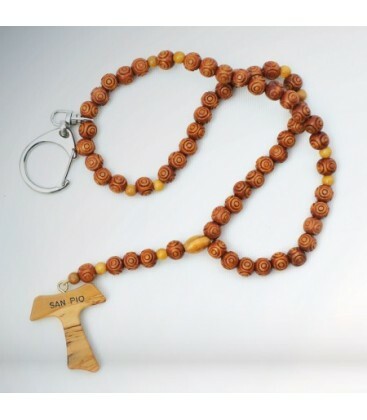 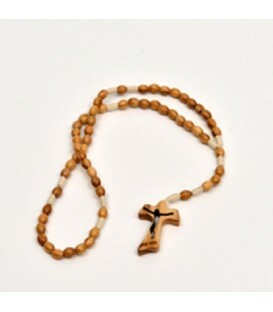 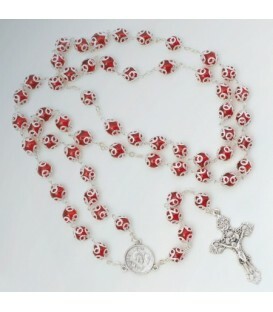 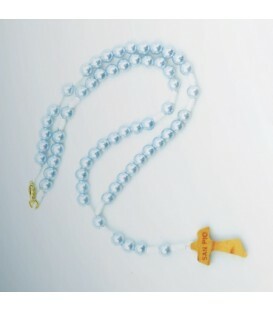 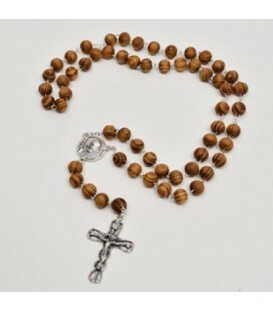 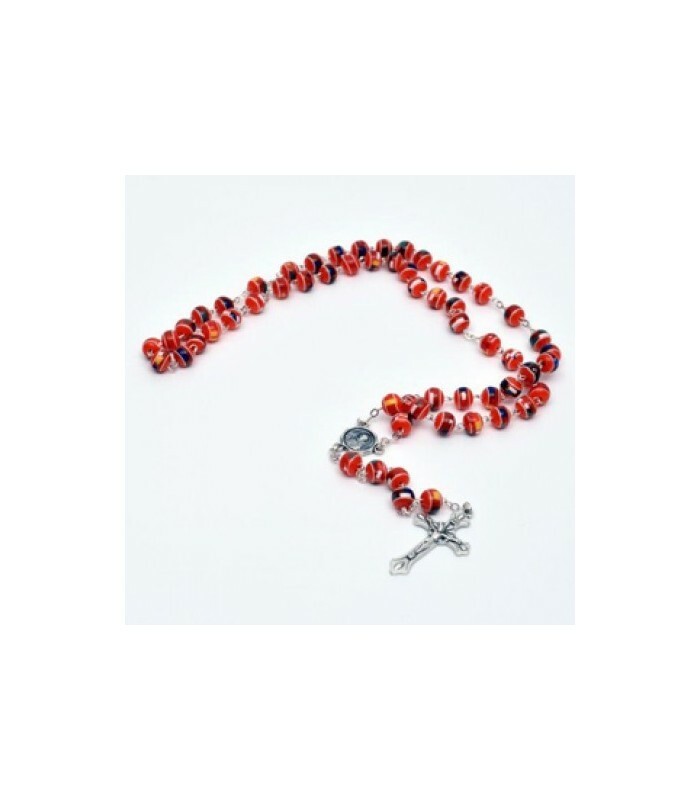 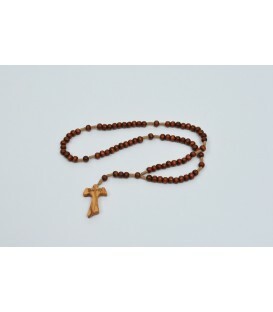 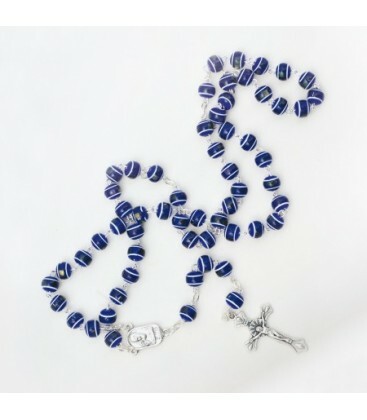 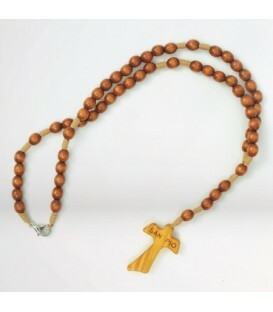 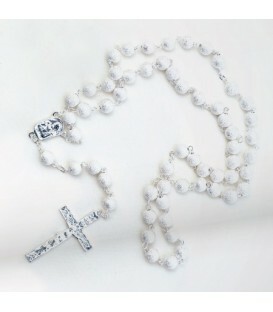 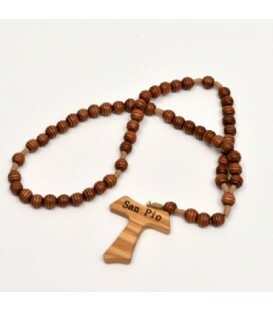 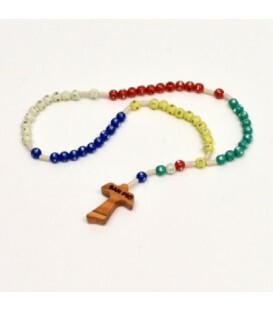 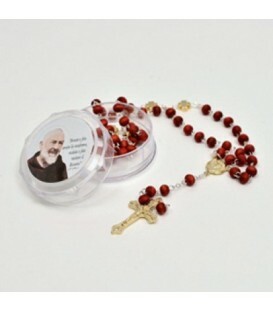 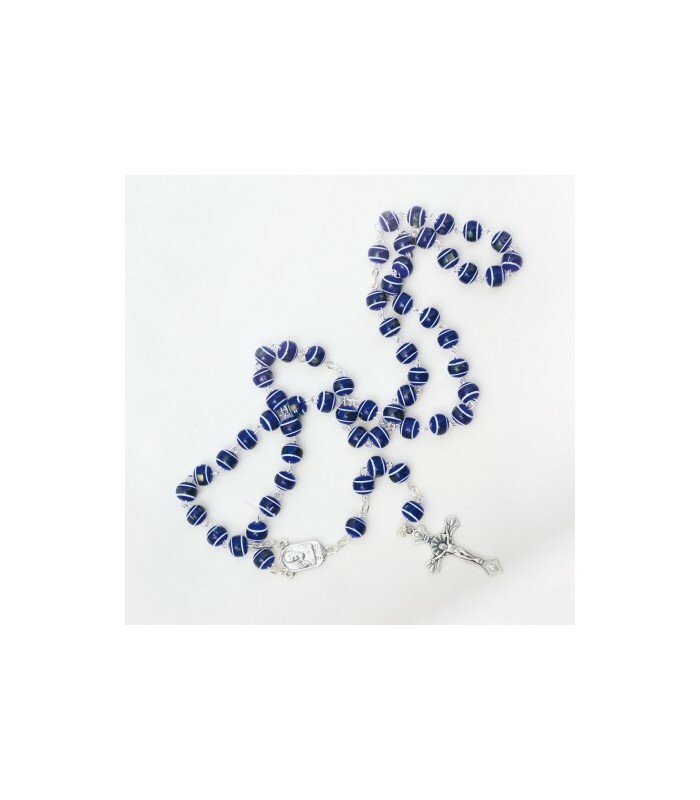 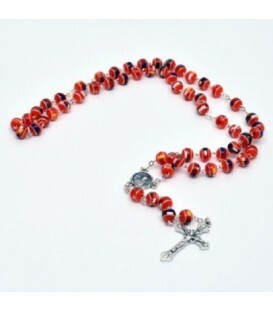 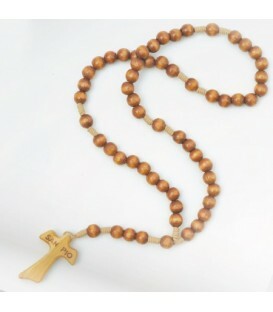 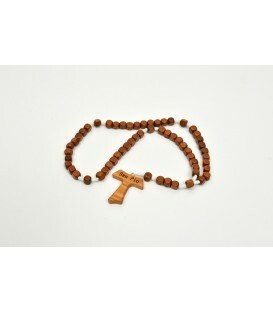 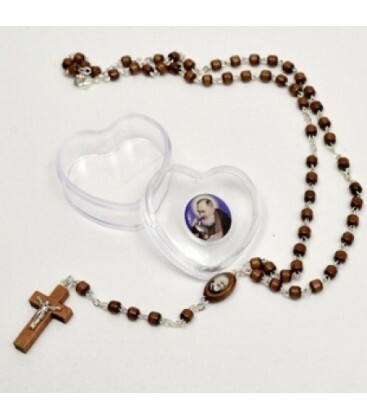 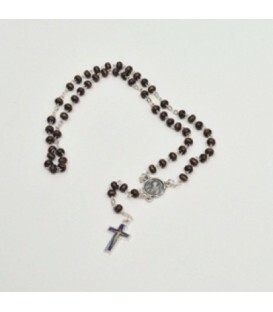 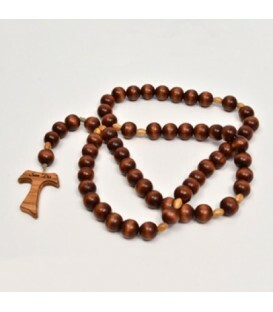 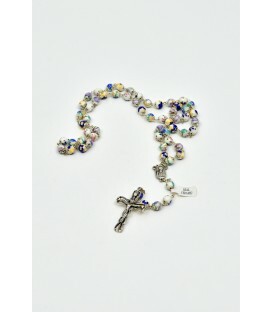 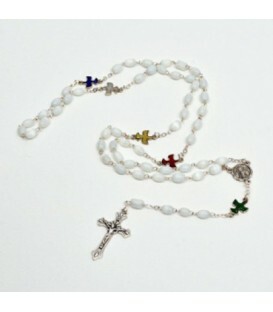 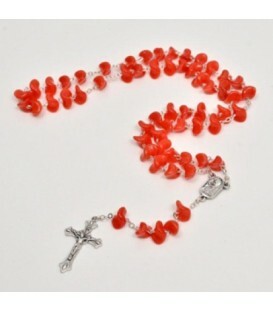 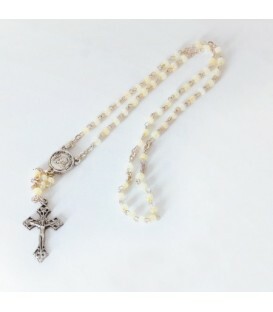 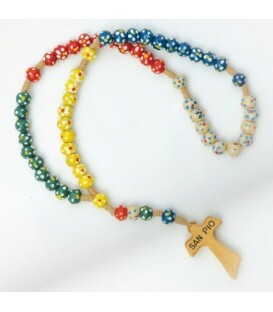 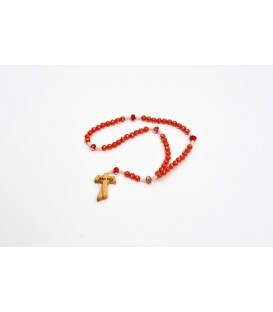 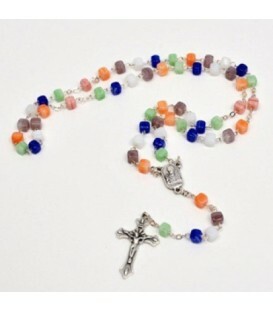 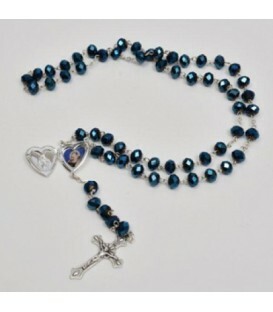 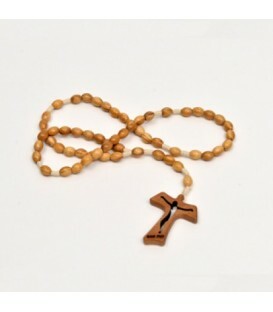 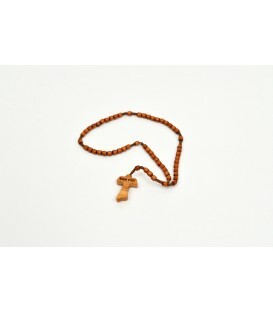 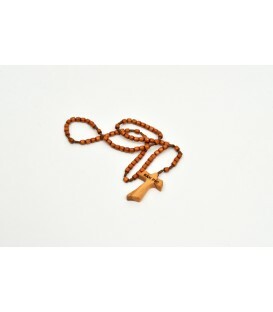 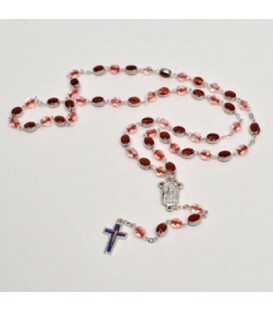 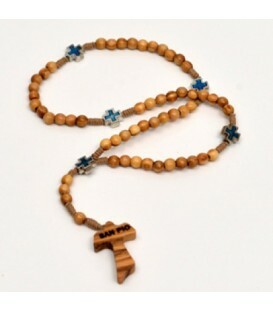 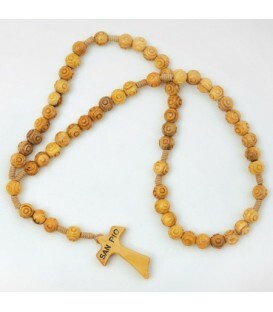 Rosary in stained glass, with smooth round grains and tying in silver plated metal. 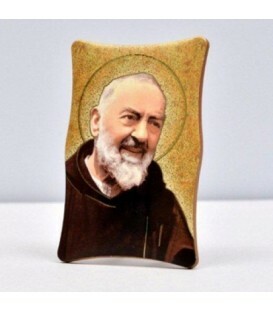 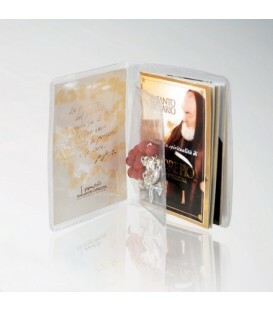 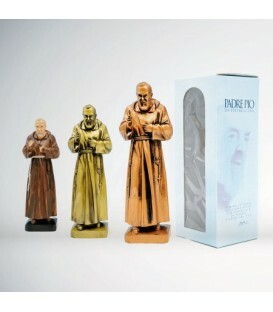 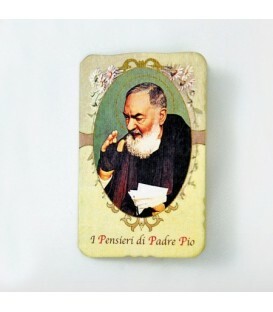 Coin with relief picture depicting Padre Pio and, on the back, relief picture depicting Santa Maria delle Grazie. 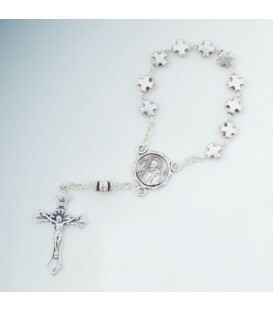 Silver metal crucifix in relief.